A compilation to illuminate the mind! 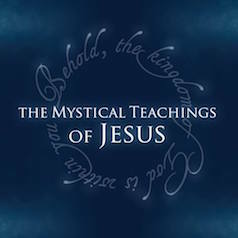 The Mystical Teachings of Jesus is a prayer-meditation book offering King James Bible verses, side-by-side with A Course in Miracles quotes. It provides a dialogue of clarity to answer direct questions from the heart such as, “Jesus, what is my relationship to you?”, “What is a miracle?”, and “How will the world end?” This is an inspired compilation from mystic David Hoffmeister available in both paperback or eBook! Mystic David Hoffmeister is a living demonstration that peace is possible. His gentle demeanor and articulate, non-compromising expression are a gift to all. He is known for his practical application of the non-dual teachings necessary to experience a consistently peaceful state of mind. The purity of the message he shares points directly to the Source. Over the past 30 years, David has traveled to 41 countries across 6 continents to extend the message that Truth is available for everyone, now. David’s message speaks to all people, regardless of whether their background is religious, spiritual, or scientific. He is as comfortable delving into the metaphysics of modern-day movies as he is in pointing to the underlying meaning of the scriptures in the Bible.David’s own journey involved the study of many pathways, culminating in a deeply committed practical application of A Course in Miracles, of which he is a world-renowned teacher. 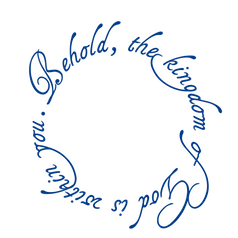 His teachings have been translated into 12 languages, and taken into the hearts and minds of millions through the intimate style of his books, audios, and videos. 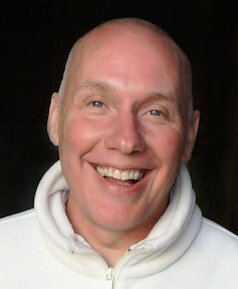 The Foundation for Inner Peace grants permission to use the quotations from A Course in Miracles (ACIM) for David Hoffmeister’s upcoming book listing ACIM and Biblical quotes. 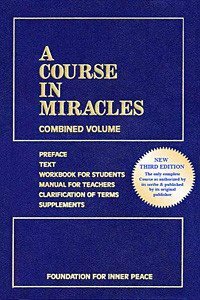 All quoted material from A Course in Miracles© (Third Edition, 2007) is used with written permission granted by The Foundation for Inner Peace, publisher and copyright holder. Two thousand years ago Jesus spoke profound words to lead us out of the darkness and into the Light and Love of His Grace. Today through A Course in Miracles he continues to bless the world with clear and direct teachings on forgiveness and salvation. 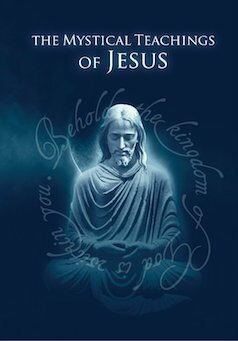 This book is a gateway to the deep Self Realization that we are the Christ Mind—we are love itself.